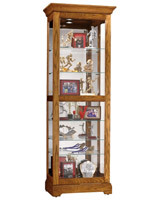 This Trophy Case that is 42" Wide is an Attractive Display! 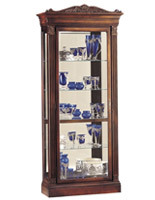 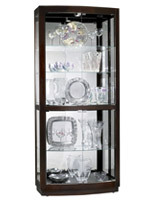 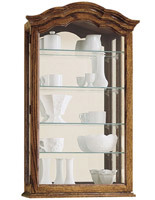 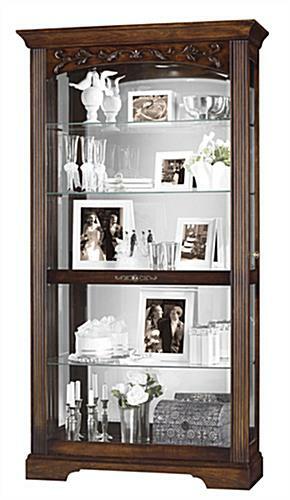 This Glass Showcase has a Distinctive Columnar Appearance with Top Embellishments! 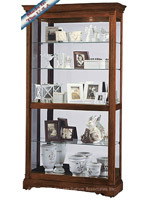 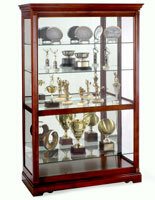 This trophy case is the perfect collectibles award case and makes a great wedding or anniversary gift. 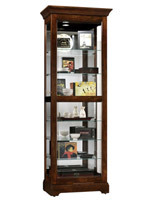 These display cabinets are becoming increasingly popular as buyers seek distinctive furniture for residences as well as professional offices. 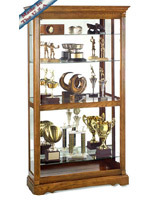 These simple yet attractive and viable trophy cases, also recognized as curio cabinets and collectibles cases, provides families with an appealing piece of furniture, guaranteed to be passed down from generation to generation.